Like a Marine charging with his bayonet – Mitt Romney takes the lead. 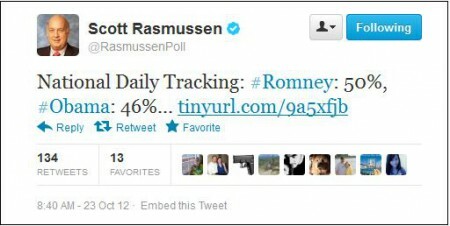 Mitt Romney just opened a four point lead over Barack Obama in the latest Rasmussen poll. Mitt Romney has a six point lead in the Gallup Daily Tracking poll.